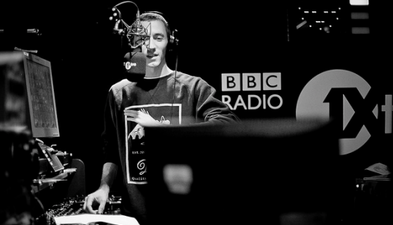 Benji B is one of the UK's most respected DJs. Renowned worldwide for his radio shows and club sets alike, he's amassed a fanbase who have come to see him as a leader in the future and soulful music movement, mixing the genres of hip hop, house, soul, funk, dubstep, and more, seamlessly taking his audience from one genre to the next. For the past eight years he's being doing his own show on BBC 1Xtra playing the latest and greatest music from dubstep and hiphop to house and soul and everything in between, while inviting some of the very best artists to the show for interviews and exclusive mixes ranging from Juan Atkins to J Rocc and Dorian Concept to Kode 9. When 1Xtra launched in 2002 he was asked to present a show on Thursday nights. It soon became essential listening for music fans around the globe. Recently Benji made the move to Sundays and has recently been given an extra hour and will now broadcast from 10 pm until 1 am every Sunday night. In October 2010, he made the move over to BBC Radio 1, where you can now catch him every Wednesday night / Thursday morning 2-4am. As a DJ it is easier to count the countries Benji hasn't DJ'ed in than the ones he has. Every weekend he is in a different part of the world and is one of the UK's most international specialist DJs, playing regularly in the USA, Japan, the Middle East, Asia and Australia as well as all over Europe. Alongside his weekly BBC show on Radio 1 Benji has been running his club night Deviation Sessions in the East London's Gramaphone for almost two years. Each month he installs a bespoke soundsystem on which have played the likes of Flying Lotus, J Davey, Martyn and Skream to Moodymann, Dam-Funk and many more. It is now widely regarded as one of the very best club nights in London. LDN: 27.04.12 - DEVIATION x ??? Warehouse Session w/ Benji B, Omar S, Dego and more..
All times are GMT -4. The time now is 11:06:07 PM.